SPRINGFIELD, Mo. -- We have all felt overwhelmed with life at times, stressed even, and in some cases might have felt something more serious like anxiety. SPRINGFIELD, Mo.-- Jenifer Abreu sits down with the City of Springfield's environmental services team to talk how you can "go green" leading up to Earth Day 2019. BRANSON, Mo. -- Preventing another tragedy, that's the goal of a new bill from one of Missouri's senators. SPRINGFIELD, Mo. -- Senator Josh Hawley is coming down on the tech industry and the threats to privacy those organizations pose. John Adams sits down with two representatives from Good Shephard Hospice to talk about their hospice volunteering event. Springfield's Miracle League has kicked off its spring season. More than 200 baseball players with disabilities will be taking the field. Miracle League Commissioner, Cyrus Taylor, said buddy volunteers are greatly needed with so many players. A Drury University professor is bringing music therapy to the NICU, to help the development of premature babies. A financial adviser joins us in the studio to talk about the best way to save for retirement and the pros and cons of 401k and savings accounts. SPRINGFIELD, Mo. - Our David Oliver sits down with the Community Partnership of the Ozarks to talk about Child Abuse Prevention Month. SPRINGFIELD, Mo. - If you are a teacher in Missouri or if you know a teacher, you'll want to know this. SPRINGFIELD, Mo. - Can you walk 50 miles in 20 hours? Major Danny Cazier with the Ozark High School JROTC stops by the studio to talk about a unique event coming to the Ozarks. SPRINGFIELD, Mo. - The U.S. Small Business Administration's Springfield Branch is hosting "Meet the Lender" events across Southwest Missouri. Heather Lewis spoke with Region VII Administrator, Thomas Salisbury and Lender Relations Specialist, Lisa Zimmerman, about some of the challenges entrepreneurs face when starting a small business. SPRINGFIELD, Mo. - The Springfield Police Department is preparing to hold its first Neighborhood Watch Training of 2019. SPRINGFIELD, Mo. - Our Dr. Brian Calfano breaks down some last minute tax options that could make the process less stressful if you procrastinated to file. OZARK, MO -- The City of Ozark has released its 10-Year Comprehensive Plan detailing where citizens want the city to go for the next ten years, where and how it should improve. 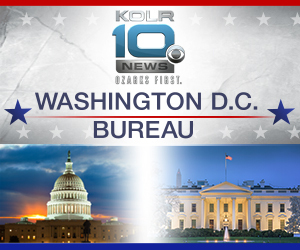 Brian Calfano is KOLR10's political analyst, and hosts KOLR10’s Ozarks Tonight. 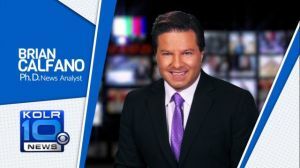 He appears frequently on our newscasts to offer insights into the political process and analyzes developments on the American political landscape. Brian also examines how government programs and politics impact life for families in the Ozarks. 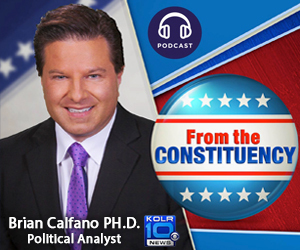 Brian Calfano holds a Ph.D. in political science from the University of North Texas and teaches in the political science and journalism departments at the University of Cincinnati. He has published over 50 academic journal articles and other manuscripts on public opinion, religion and politics, media, and related topics. He currently lives in Cincinnati but is regularly in Springfield to work on projects for KOLR10 News. You can reach Brian by email here or like his Facebook page. © 1998 - 2019 OzarksFirst.com | Nexstar Broadcasting, Inc. | All Rights Reserved.